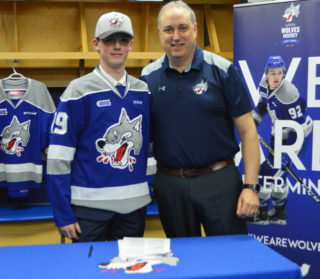 The Sudbury Wolves are pleased to announce that left defenceman Liam Ross has committed to the Sudbury Wolves Hockey Club and the Ontario Hockey League in his pursuit of hockey development and scholastic interests. 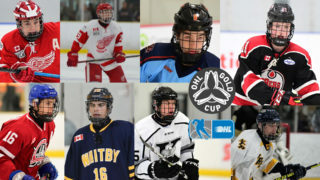 Ross, the Markham Ontario native was selected, 63rd overall in the 4th round of the 2017 OHL Priority Selection this past April. 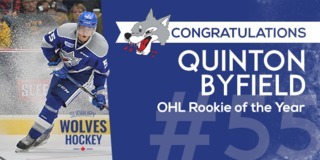 The 6’2, 188lbs defenseman played last season with the Mississauga Reps Minor Midget AAA where he notched 12 points in 32 games including 4 minutes in penalties. 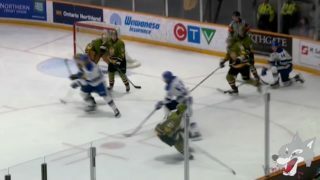 With 27 players remaining in training camp, the team practiced Sunday and Monday in advance of their first exhibition game against Mississauga on Tuesday night. Players had the opportunity to see more of the city than just the inside of the old Barn on Elgin Street, taking in some of Downtown Sudbury’s Ribfest activities. As well, new players were getting to meet their billet families and getting comfortable in their new homes in anticipation of starting school later this week. The community was open armed and welcoming during training camp with nearly 500 people in attendance for the annual Blue / White game Saturday morning. Team Blue took the game 7-2 but the compete level and back and forth was much more even than the score. Friends, Family, Season Ticket holders and fans, many of whom got to hear the Wolves new Goal Horn for the first time were pleased with the effort from the boys on the ice. 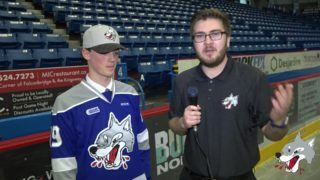 Ross will make his OHL Exhibition debut on Tuesday when the Wolves open-up the pre-season at home against the Mississauga Steelheads. Game time is 7:05pm. 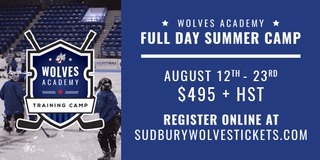 Tickets are available at the Sudbury Arena Box Office or online at greatersudbury.ca/tickets.